Samsung Galaxy S3 to be quad-core mind blower? The first whispers of the Samsung Galaxy S3 have begun reaching our ears, with the latest rumours awarding the next-gen handset a quad-core processor. With the Nvidia Tegra 3 quad-core chip already announced, the race is on to see who'll be next and the Samsung Exynos 4412 is quite a contender. It's still built on the ARM Cortex A9 architecture and clocks in at 1.5GHz, but it offers four cores rather than the Exynos 4212's two. Of course, the Samsung Galaxy S3 doesn't technically exist yet, but it's fair to speculate that the next Galaxy S handset will feature Samsung's most souped up processor. What's more, the GPU may get a bit of an upgrade too, with the Mali-T604 GPU expected to join the quad-core CPU; the Mali-T604 is scalable up to four cores and reportedly offers up to five times better performance than its predecessors. 2012 seems set to be the year of the quad-core behemoth, with the HTC Quattro tablet, HTC Edge, HTC Zeta and Asus Transformer Prime tablet all on the cards as well as the Samsung Galaxy S3. 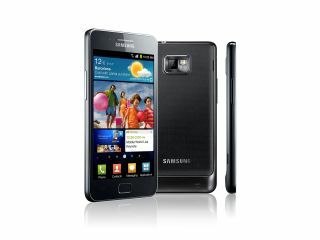 If its competitors are eyeing quad-core smartphones, we have no doubt that Samsung is too. Whether or not the Samsung Galaxy S3 will be its first, we couldn't tell you – but we can't wait to find out.